I still remember the first time I used a Xiaomi phone. Xiaomi entered the Indian smartphone market in July 2014, and I purchased the Xiaomi Redmi 1s in September of that year. The Redmi 1s was Xiaomi’s first budget phone to be launched in India, and even at that time, I was impressed by the phone’s value proposition. It redefined the $100 smartphone market in India by including specifications that could be found only in phones that cost twice the price. The overall package was hard to beat, and even after taking into consideration the limitations of flash sales, the Redmi 1s went on to become a bestseller. Fast forward four and a half years later, and Xiaomi is now the largest smartphone manufacturer in India. The company’s success has largely been driven by the success of its Redmi Note series. 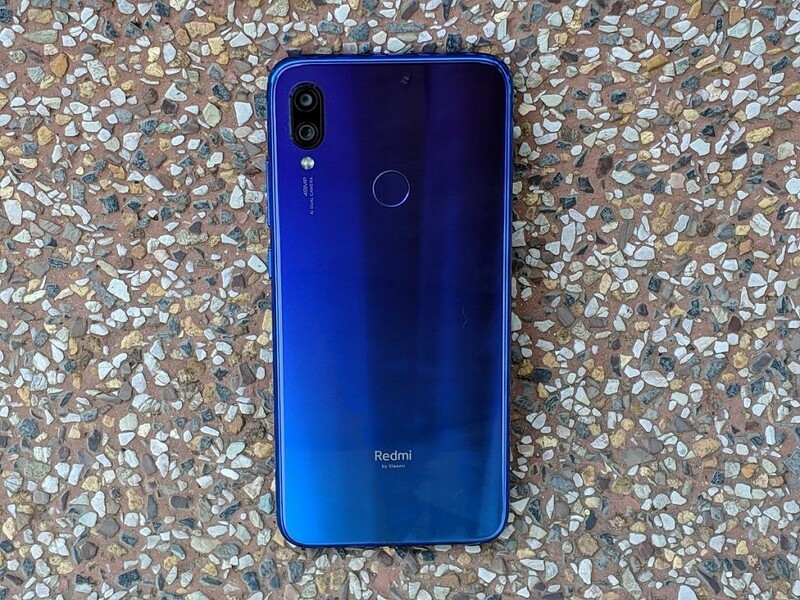 The Xiaomi Redmi Note 7 Pro is the company’s latest release, and it slots in above the Indian Redmi Note 7. Launching only three months after its predecessor, the Redmi Note 7 Pro has a lot to prove. The competition is more fierce than it has ever been, but Xiaomi seems to have one-upped them again. Does the Redmi Note 7 Pro fulfill its role as the next generation of the Redmi Note series legacy? Will it once again manage to prove itself as the phone to beat in this price segment? Let’s find out the answers in this review. 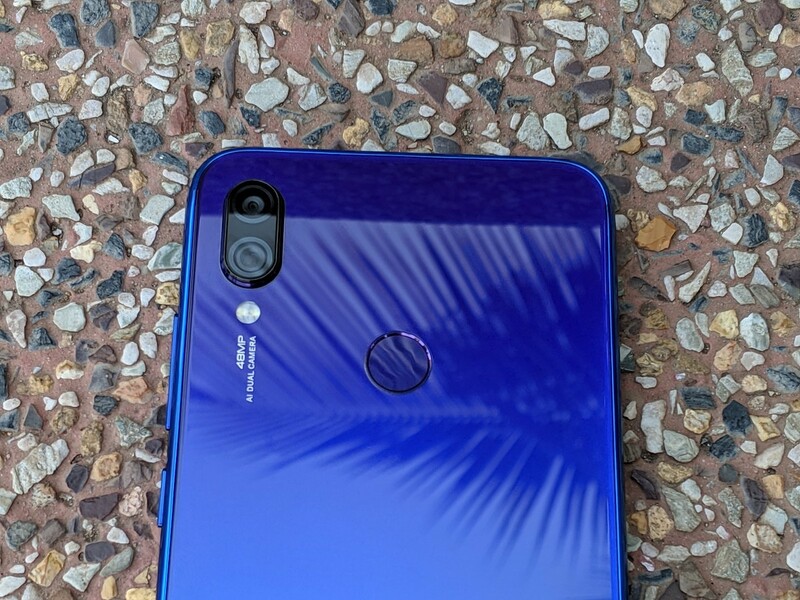 About this review: I have the Indian 4GB RAM/64GB storage variant of the Xiaomi Redmi Note 7 Pro for review. 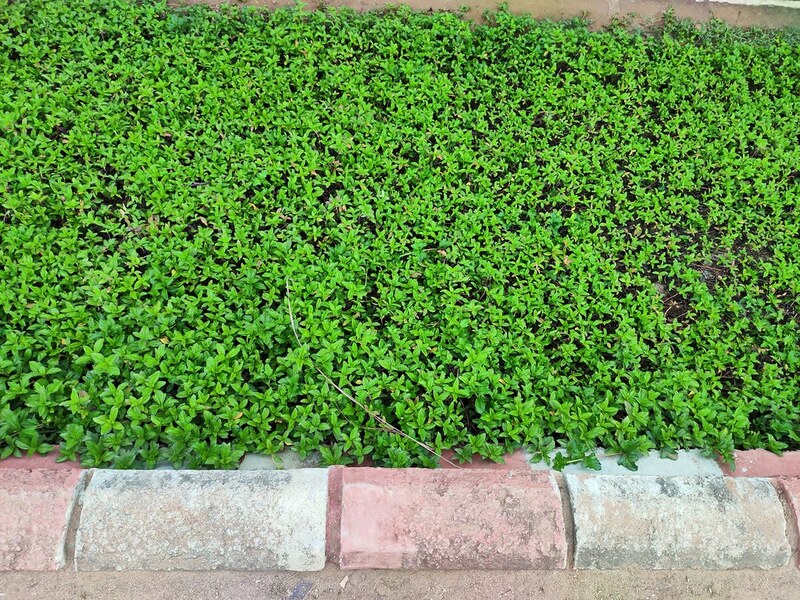 The unit was provided by Xiaomi India for reviewing purposes. In terms of build quality, the Redmi Note 7 Pro has a plastic frame that provides rigidity for Corning’s Gorilla Glass 5 on the front and back. This can arguably be seen as a downgrade in terms of construction, considering phones like the Xiaomi Redmi Note 4 had near all-metal designs. The Xiaomi Mi A2 was constructed from a single piece of unibody aluminum, thereby establishing itself as the benchmark in build quality. The Redmi Note 7 Pro fails to live up to that high standard, but as I have noted earlier, the time for metal-built phones is passing away fast, even in the budget and mid-range price segments. The Redmi Note 7 Pro still feels like a well-built phone despite its plastic frame. In the future, it would be good to see Xiaomi adopt a metal frame to make the phone on par with flagships in this area. The plastic frame remains the weak spot in terms of durability, but in terms of day-to-day use, it should hold up fine. The Redmi Note 7 Pro’s design is special even if its build quality isn’t class-leading. On the front, we have a 6.3-inch Full HD+ 19.5:9 IPS display with a U-shaped notch that Xiaomi refers to as the “Dot Notch.” The U-shaped notch contains the 13MP front camera and the proximity / ambient light sensors. The top and side bezels are still a bit bigger than they should be, and there is a sizable chin as well. Competing phones like the Samsung Galaxy M30 are clearly ahead here as Xiaomi hasn’t effectively utilized the space on the front. Despite this, the Redmi Note 7 Pro still has a decent screen-to-body ratio of 81.4%. With flagships now breaking the 90% screen-to-body ratio barrier, there is room for improvement here. On the top, we find the secondary microphone, an IR blaster, and a 3.5mm headphone jack. The IR blaster + 3.5mm headphone jack combination is becoming increasingly rare, and the Redmi Note 7 Pro is a positive outlier in this aspect. The power and volume buttons are located on the right-hand side. While the stiffness and actuation force of the buttons aren’t quite as good as on the Mi A2, they still present no issues. Their placement is also optimal. The SIM tray is placed on the left-hand side of the phone. It’s a hybrid solution that can either take dual nano-SIMs or a nano-SIM + a microSD card, forcing users to choose between expandable storage and dual-SIM functionality. 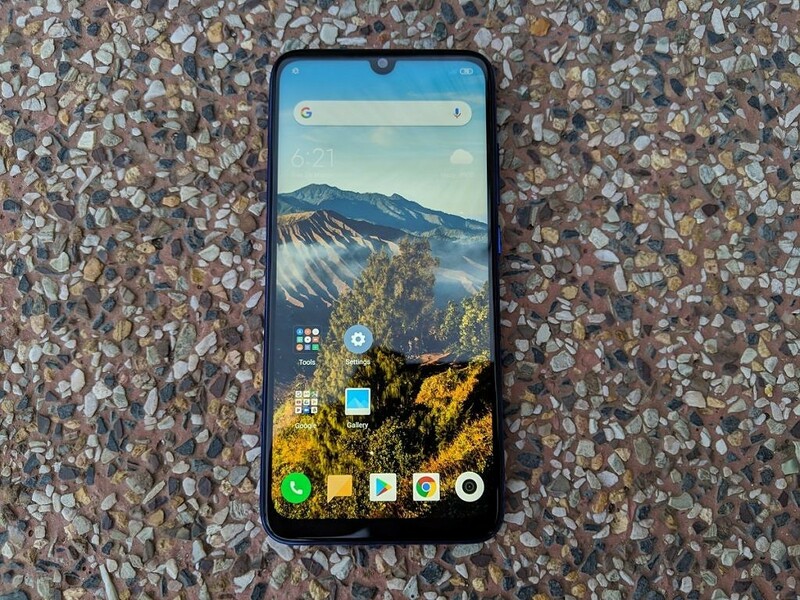 Competing phones in this price range (such as the Asus ZenFone Max Pro M2 and the Realme 2 Pro) have moved toward triple slots containing a dedicated slot for the microSD card, and Xiaomi itself uses a triple slot in phones like the Xiaomi Redmi 6 Pro. Not including it in the Redmi Note 7 Pro, therefore, feels like a missed opportunity and a poor decision in the context of the Indian smartphone market. In India, the Redmi Note 7 Pro is sold in two configurations: 4GB RAM with 64GB storage and 6GB RAM with 128GB storage. In China, Xiaomi currently sells only the higher-end variant. On the bottom of the Redmi Note 7 Pro, we find the USB Type-C port and dual speaker grilles. As expected, only the right grille contains the speaker, while left grille is the primary microphone.The USB Type-C port is a welcome sight as Xiaomi has finally dropped the outdated microUSB port that was found in earlier Redmi Note phones. It supports USB 2.0 speeds, but that drawback is shared with plenty of higher-priced phones as well. The star of the Redmi Note 7 Pro’s design is undoubtedly the back design, which Xiaomi terms “Aurora Glass.” Xiaomi uses nano-texturing underneath the layer of Gorilla Glass 5 on the back to create a look reminiscent of premium phones. The phone is sold in Neptune Blue, Nebula Red, and Black. While Black is a standard black finish for users interested in a more understated color option, the other two colors are gradient color finishes that are executed very well. I have the Neptune Blue color variant for review, and it looks amazing. Light reflections are great to look at, and the phone does a great job of looking like a well-designed, premium phone. The biggest plus point with the glass back is that Xiaomi has used a fingerprint-resistant coating, which means it collects fingerprints in a restrained manner. This is great to see considering that plenty of flagship phones lack such a coating. The glossy finish of the glass does mean that the phone is quite slippery, though. 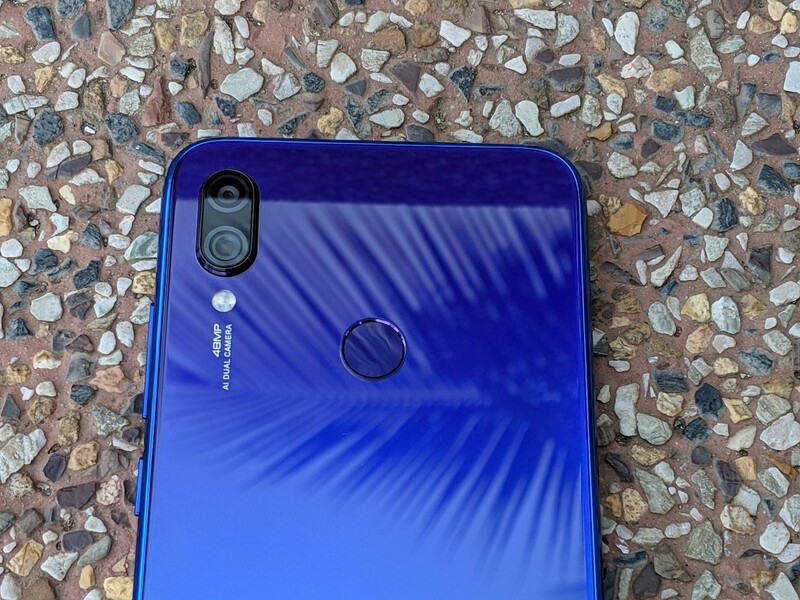 The 48MP + 5MP rear cameras are placed at the top left on the back. The camera bump here is significant, but that’s expected considering the 1/2″ sensor size of the 48MP primary sensor. The “48MP AI Dual Camera” branding gives away the fact that Xiaomi is heavily promoting the phone’s camera. The capacitive fingerprint sensor is placed at the center on the back, and it’s followed by “Redmi by Xiaomi” branding at the bottom, reflecting Redmi’s status as a newly formed sub-brand of the company. The Redmi Note 7 Pro uses a p2i water-repellent nanocoating for splash resistance, and there are rubber gaskets around the ports. It does not claim to be water resistant, but it should be able to resist rainwater and minor splashes well. In the future, we would prefer to see this be upgraded to an IP67 or IP68 rating for a higher level of certified water resistance. In terms of ergonomics, the Redmi Note 7 Pro isn’t an especially thin phone, but that’s not necessarily a bad thing. The phone has flat sides and a flat glass back, contributing to its slab-like feeling. This does have a negative impact on ergonomics. The size of the phone may also be off-putting for users interested in smaller phones, but I had no issues with it. Ergonomics are still good thanks to the relatively narrow side bezels and thick, glossy plastic frame. Overall, the Redmi Note 7 Pro has a great design. If it had a metal frame, it would have achieved top marks in build quality, and that remains an area of improvement for Xiaomi. In the box, Xiaomi bundles a 10W charger and a transparent glossy TPU case. We will have more to say on the phone’s charging capabilities in the Battery Life and Charging section. The Redmi Note 7 Pro’s Full HD+ display leaves me no complaints with respect to resolution and pixel density. 409 PPI is fine for general use, especially considering the fact that the IPS LCD uses an RGB matrix. Text is sharp, and in general, there is little need for Quad HD+ displays to arrive in this price segment, unless they move significantly downward in terms of pricing. The display of the Redmi Note 7 Pro can go as bright as 450 nits. It has Xiaomi’s Sunlight Display technology which boosts contrast in sunlight for better readability. This is a separate feature from a High Brightness Mode (HBM) which seems to be inactive or not present on the Redmi Note 7 Pro’s display. The sunlight legibility of the display, therefore, is good without being outstanding. The Redmi Note 7 Pro’s display has a rated contrast ratio of 1,500:1. Subjectively, the display’s black levels are okay. The contrast is still on par with—or slightly better than—the Xiaomi Mi A2’s display. However, AMOLED displays are now starting to arrive in this price segment, led by the Samsung Galaxy M30 and the OPPO K1. AMOLED displays can’t be matched with respect to contrast, and I believe it’s time for Xiaomi to take a serious look at moving the Redmi Note series to AMOLED displays. On the other hand, the display’s viewing angles are great. There is negligible angular color shift across viewing angles. The loss of brightness and contrast across angle changes are also kept under control, although the display won’t compete with AMOLED displays in this particular aspect. Xiaomi states that the Redmi Note 7 Pro’s display supports 84% of the NTSC gamut. This means that the display’s native color gamut is wider than the sRGB gamut. The Redmi Note 7 Pro doesn’t support Android’s native color management system, though no phone in this price segment supports it, so this is expected. What we get are three display modes, one of which has three color temperature presets. Out of the box, the Redmi Note 7 Pro’s display shows inaccurate colors with respect to the sRGB gamut. The “Automatic Contrast” default mode targets the DCI-P3 color gamut, but in terms of calibration, it deviates from the color space because of the overly bluish white point. The white point can be brought closer to 6504K by choosing the “Warm” color temperature preset. Due to the lack of support for Android’s color management system, the “Automatic Contrast” mode is inaccurate with respect to the sRGB gamut. It should, therefore, be used for watching DCI-P3 content or for getting a more saturated display with a colder white point. The “Increased Contrast” mode is very similar to the “Automatic Contrast” mode, but it does slightly increase display contrast. With regards to color accuracy, the aforementioned caveats apply to this mode as well. The “Standard” color mode, on the other hand, is calibrated to the sRGB gamut. This mode satisfies color accuracy demands as its white point, grayscale, saturation, and gamut coverage are all on the mark. The display of the Redmi Note 7 Pro is noticeably better than the Xiaomi POCO F1‘s display in this respect. This is because Xiaomi has finally fixed the pink tint grayscale issue that affected its budget and mid-range smartphone displays. The Redmi Note 7 Pro’s display has slightly greenish grays but the sRGB calibration is still excellent. The display also features Reading mode with scheduling options to cut down on blue light. The display doesn’t support HDR content, but again, that drawback is shared by all other phones in this price range. On the other hand, Widevine L1 certification is included. The Redmi Note 7 Pro’s waterdrop “dot notch” is a significant improvement over wide display notches in phones like the POCO F1. However, the hide notch option is strangely missing. Unfortunately, in the current MIUI Global Stable software, the small notch doesn’t result in any improvements with respect to the display notification icons. This is because, despite the increase in space for the status bar, MIUI doesn’t display any notification icons by default. Users can enable an option to display incoming notification icons which will result in new notification icons being displayed for a few seconds before they promptly disappear, despite plenty of space being available. This issue is fixed in MIUI Global Beta 9.3.21 for the Mi 9 and Redmi Note 7, and we expect the bug fix to make its way to MIUI Global Stable soon as well. Overall, the Redmi Note 7 Pro’s display is excellent. In the future, the improvements Xiaomi can make to its phones’ IPS LCDs are the inclusion of High Brightness Mode and better contrast. The next major achievement here would be the move to OLED. The Xiaomi Redmi Note 7 Pro is powered by the Qualcomm Snapdragon 675 SoC. This particular SoC was announced in October, and it’s the newest Snapdragon 600-series SoC. It contains two Kryo 460 (ARM Cortex-A76-based) performance cores clocked at 2.0GHz which act as the “big” cores. Six Kryo 460 (ARM Cortex-A55-based) efficiency cores clocked at 1.7GHz act as the “little” cores. The SoC features the Adreno 612 GPU. Regarding other aspects, it has Qualcomm’s Hexagon 685 DSP and Spectra 250L ISP. The Snapdragon 675 (SM6150) is manufactured on an 11nm LPP process which means that it has a density disadvantage when compared with the Snapdragon 670 and the Snapdragon 710, both of which manufactured on a 10nm LPP process. Qualcomm claims that the Snapdragon 675’s AI Engine enables it to have 1.8x the AI performance of the Snapdragon 660. In terms of CPU performance, the Snapdragon 675 is the best mid-range SoC users can find. There are no qualifiers needed for this statement. The Snapdragon 675 uses a semi-custom version of ARM’s newest Cortex-A76 core, a laptop-class core that is said by ARM to have a 34% performance improvement over its predecessor, the Cortex-A75, in Geekbench. The Cortex-A75 is used in the Snapdragon 670 and the Snapdragon 710. Neither SoC has made its way to smartphones in the sub-$250/₹15,000 price points so far. In fact, the most popular SoC in this price segment remains the Qualcomm Snapdragon 660, which uses two-generations old Cortex-A73 cores. When taking into consideration that the A75 was said to have a 35% performance improvement over the A73 in Geekbench, it becomes clear that the Snapdragon 675 is currently in a level of its own when it comes to CPU performance in mid-range SoCs. No competing SoC from either Qualcomm or from its rivals can even come close. The GPU performance is a lot less impressive. The Snapdragon 675 features the Adreno 612 GPU. The Adreno 612 is less capable than the Adreno 615 and the Adreno 616, which are featured in the Snapdragon 670 and the Snapdragon 710 respectively. Strangely, Qualcomm has downgraded the GPU in the Snapdragon 675 when compared with the Snapdragon 670. As we will see in the GPU performance benchmarks, the Adreno 612 seems to be nothing but the Adreno 512 with a new name. This means that the Snapdragon 660 and the Snapdragon 675 feature roughly equivalent GPUs in terms of performance. This also means that buyers purchasing the Indian Redmi Note 7 will get roughly the same GPU performance as the more expensive Redmi Note 7 Pro. To test different aspects of the SoC, we turn to our set of system, CPU, and storage benchmarks. With respect to system performance, we start with the industry standard PCMark. PCMark holistically tests performance across common use cases such as web browsing, photo editing, writing, and more using a range of Android APIs. For example, the Writing 2.0 test uses the AndroidEditText view and the PdfDocument APIs. It measures the time to open, edit, and save a PDF. The overall score for the Xiaomi Redmi Note 7 Pro in PCMark Work 2.0 is surprisingly great. It manages to easily outscore the Xiaomi Mi A2. The Xiaomi POCO F1’s score is only slightly higher, while the OnePlus 6T is quite a bit ahead. The Huawei Mate 20 Pro and the Google Pixel 3 XL lead the charts here. Interestingly, the Redmi Note 7 Pro’s overall score is about the same as the Exynos 9820 variant of the Samsung Galaxy S10+ (!). This speaks volumes about the value of featuring the speedy Cortex-A76 in a mid-range SoC. The Redmi Note 7 Pro manages to outperform the POCO F1 in the Web Browsing 2.0 test while falling behind phones such as the Huawei Mate 20 Pro and the OnePlus 6T. In the Video Editing test, the Redmi Note 7 Pro predictably outperforms the Xiaomi Mi A2 and slots in below the flagship phones. In the Writing 2.0 test—the test which reveals peak performance capabilities of a device—the Redmi Note 7 Pro is slightly behind the POCO F1, but the gap between it and the Huawei Mate 20 Pro is quite significant, as expected. The Redmi Note 7 Pro continues its decent performance in the Photo Editing 2.0 test by closely trailing behind flagships. In the Data Manipulation score, it’s nearly neck-to-neck with the POCO F1, while trailing the Huawei Mate 20 Pro and the OnePlus 6T. Overall, the Snapdragon 675 proves its worth in PCMark. It outperforms nearly all Qualcomm Snapdragon 835 flagships in the overall score and easily beats the Exynos 9810 variant of the Samsung Galaxy S9/Samsung Galaxy Note 9. The Cortex-A76 is a star performer in these holistic benchmarks. Speedometer is strongly dependent on single-core CPU performance, and the Snapdragon 675 doesn’t disappoint here. The score of the Redmi Note 7 Pro is actually higher than the POCO F1, while the OnePlus 6T is ahead of the Redmi Note 7 Pro. The Huawei Mate 20 Pro is in another league here, as expected. Geekbench reveals the CPU performance of the Snapdragon 675. The single-core score is on par with most Snapdragon 845 flagships while falling significantly behind the Qualcomm Snapdragon 855. The multi-core score is on par with the Qualcomm Snapdragon 835 which means that there is a sizable gap to the Snapdragon 845. The big deficit in the multi-core score is because the Snapdragon 675 features only two big Cortex-A76 cores and six little Cortex-A55 cores while SoCs such as the Snapdragon 845 feature a 4+4 core configuration. The Qualcomm Snapdragon 855, on the other hand, has a 1+3+4 core configuration with a newly introduced Prime Core. The variant of the Redmi Note 7 Pro I have contains 4GB of eMMC 5.0 NAND. AndroBench results are shown in the screenshot above. Unfortunately, this is one area where the Redmi Note 7 Pro can’t hope to compete with higher-priced flagship phones such as the POCO F1. There is a huge gulf in speed between eMMC 5.0 and UFS 2.1, and Xiaomi has yet to use UFS 2.1 storage in any of its mid-range phones. This gap is illustrated in sequential reads, random reads, and random write speeds. In the future, the company is advised to move its mid-range device portfolio to UFS 2.1 NAND, as easy performance improvements are just being left on the table here. Note: All observations in this section are with respect to MIUI Global Stable 10.2.7.0, the latest MIUI Global Stable version available for the Redmi Note 7 Pro as of writing. The Xiaomi Redmi Note 7 Pro’s UI performance is, for a lack of a better word, inconsistent. After posting great results in system and CPU performance, the Redmi Note 7 Pro was expected to post a great showing in terms of UI performance as well. Unfortunately, the user experience right now is mixed. For the most part, the Redmi Note 7 Pro is a fast, smooth phone. App launch times are noticeably behind UFS 2.1-powered flagship phones such as the POCO F1 and the OnePlus 6T, but that has more to do with the storage speed bottleneck rather than CPU or system performance. Relative to the Snapdragon 660 in the Xiaomi Mi A2, the Snapdragon 675 does open most apps faster but the difference isn’t as big as expected. Some optimizations may still be left on the table here. Worryingly, the Redmi Note 7 Pro doesn’t leave an incredible impression when it comes to smoothness. I encountered distracting UI stutters in the form of jank in animations when using the full-screen navigation gestures, particularly when going back to the home screen from an app. The stutters in animations were also intermittently seen in the Settings app. Disappointingly, they were seen in the lock screen as well when I had face unlock enabled along with pattern and fingerprint unlock. Most of these stutters can’t be obtained on a consistent basis, which leads me to think that they are, once again, occurring because of a buggy software release rather than occurring due to weaknesses in the underlying hardware. Touch and scrolling latency on the Redmi Note 7 Pro are fine. Scrolling performance in terms of frame drops is good. The Google Play Store and Google Maps are also relatively smooth for a lower mid-range device. On the other hand, Google Chrome doesn’t seem as fast and responsive as it should be. The browser drops frames when entering or exiting the tab switcher, and this issue is likely related to RAM management. RAM management on the Redmi Note 7 Pro is poor. I was disappointed by the phone’s inability to hold more than a few apps in memory, and as mentioned above, it has a negative impact on the user experience of Google Chrome as multiple tabs can’t be held in memory. The problem’s root cause seems to be the MIUI Camera app which acts as a “kill all apps” action. Opening the MIUI Camera app clears all other apps from memory on most occasions. The camera app uses 500-600MB of RAM even when using the 12MP mode, while using the 48MP mode pushes RAM usage of the app to 700-800MB, which is a lot more than it should be. I am confident that this is not an issue with 4GB of RAM as such, although the 6GB RAM variant of the phone may hold more apps in memory. Instead, this has to do with a current issue with MIUI Camera combined with MIUI’s aggressive RAM management, which continues to make itself an issue across multiple MIUI and Android versions. The 4GB RAM variant of the Xiaomi Mi A2 and the 4GB RAM variant of the Asus ZenFone Max Pro M1 don’t suffer from any issues, as 4GB of RAM is still enough for a usable multitasking experience in Android. In fact, I would say that even the Xiaomi Redmi Note 4 from 2017 has better RAM management on an older MIUI 9 build and Android Nougat than the Redmi Note 7 Pro on MIUI 10 with Android Pie. To put it simply, the RAM management issue is enough to sour my opinion regarding the Redmi Note 7 Pro’s performance. Multitasking is a fundamental part of a smartphone, and despite having relatively powerful hardware and 4GB of RAM, the Redmi Note 7 Pro can’t hold more than four or five apps in memory. As such, this software issue needs to be fixed by Xiaomi in a newer MIUI build as soon as possible to improve the user experience. On a brighter note, the Redmi Note 7 Pro passes the unlocking speed test with flying colors. Xiaomi continues to use some of the fastest physical fingerprint sensors out there, and the Redmi Note 7 Pro is a much better phone for having a capacitive fingerprint sensor rather than a half-baked in-display fingerprint sensor. The fingerprint sensor is incredibly fast and accurate to the point where unlocking the phone is an effortless experience. It’s only slightly slower than the sensors on the Huawei P20 Pro and the Xiaomi POCO F1. The fingerprint sensor is so good that face unlock is hardly necessary, but the Redmi Note 7 Pro does feature Xiaomi’s software-based 2D face unlock. There is no IR camera here unlike the POCO F1, and Xiaomi’s face unlock isn’t quite as fast as Huawei’s implementation. 2D face unlock is also not secure, so it should be used only as a backup option complementing the fingerprint sensor. In that use case, it works well. The Adreno 612 in the Snapdragon 675 posts average results in both of our GPU performance benchmarks: 3DMark and GFXBench. In 3DMark Sling Shot Extreme Open GL ES 3.1, the Redmi Note 7 Pro is outperformed by the Xiaomi Mi A2 in the overall and graphics scores while having a higher physics score. In the Vulkan version of the benchmark, the Redmi Note 7 Pro outperforms the Mi A2 in all three scores. Relative to other SoCs, the Snapdragon 675 continues to underline the growing gap in performance between Qualcomm’s flagship and mid-range GPUs. The Snapdragon 670, Snapdragon 710, Snapdragon 820/Snapdragon 821, Snapdragon 835, and the Snapdragon 845 all post higher results in 3DMark. The HiSilicon Kirin 970 in the Honor Play also has a more capable GPU. We see much of the same story in GFXBench. The Xiaomi Redmi Note 7 Pro ends up in a tie with the Xiaomi Mi A2 by posting nearly identical scores in all tests. The Redmi Note 7 Pro posts 46 fps in 1080p T-Rex Offscreen, 23 fps in 1080p Manhattan Offscreen, 17 fps in 1080p Manhattan 3.1 Offscreen, 9.1 fps in 1440p Manhattan 3.1 Offscreen, 8.8 fps in 1080p Car Chase Offscreen, 9.8 fps in 1080p Aztec Ruins Normal Tier Offscreen, and 3.3 fps in 1440p Aztec Ruins High Tier Offscreen. The scores are disappointing to see, as on average, they are on par with the Snapdragon 660, which was announced back in May 2017. The Redmi Note 7 Pro thus ends up far behind Snapdragon 845-powered phones. The POCO F1, therefore, is a much better choice for heavy 3D gaming. The gaming performance of the Redmi Note 7 Pro is still expected to be fine. The most demanding new game releases will run at low settings or won’t run, whereas popular free-to-play titles such as Asphalt 9 will work at medium or high graphics. Unfortunately for the Redmi Note 7 Pro, this is one area where buyers can spend ₹5,000 more and get the POCO F1 to benefit from 3x (200%) faster GPU performance. In its own price bracket, the Redmi Note 7 Pro is par for the course when it comes to GPU performance, but its GPU performance is not anything to boast about. The Xiaomi Redmi Note 7 Pro has a dual rear camera setup. Its primary 48MP camera features the Sony IMX586 sensor, 1/2″ sensor size, 0.8μm pixel size f/1.8 aperture, and 25.7mm equivalent focal length. It does not have optical image stabilization (OIS). The secondary camera is a 5MP depth sensor with an f/2.4 aperture. It is used for the purpose of generating a depth map in Xiaomi’s implementation of portrait mode. The Redmi Note 7 Pro does not feature a telephoto lens or an ultra-wide angle camera. While no phone in this price range has a telephoto camera, Samsung has introduced ultra-wide-angle cameras in this price segment with the Galaxy M30 and the Galaxy A50. Xiaomi is strongly promoting the Redmi Note 7 Pro’s 48MP primary camera, so let’s delve deeper into that. The IMX586 sensor was announced by Sony in July last year. To achieve the 48MP resolution, it has a Quad Bayer color filter instead of a standard Bayer filter. What this means is that just like the Sony IMX600 in the Huawei P20 Pro and Huawei Mate 20 Pro, the 48MP sensor has less color resolution than a camera with a standard Bayer filter. The IMX586 camera sensor is a lot bigger than 12MP flagship sensors such as the IMX363 in the Google Pixel 3, which has a 1/2.55″ sensor size. Similar to the IMX600, the IMX586 on the Redmi Note 7 Pro uses 4-in-1 pixel binning to achieve 1.6μm “super pixels” from the 0.8μm pixel size. Pixel binning is used to reduce noise, improve per-pixel detail, and improve dynamic range. 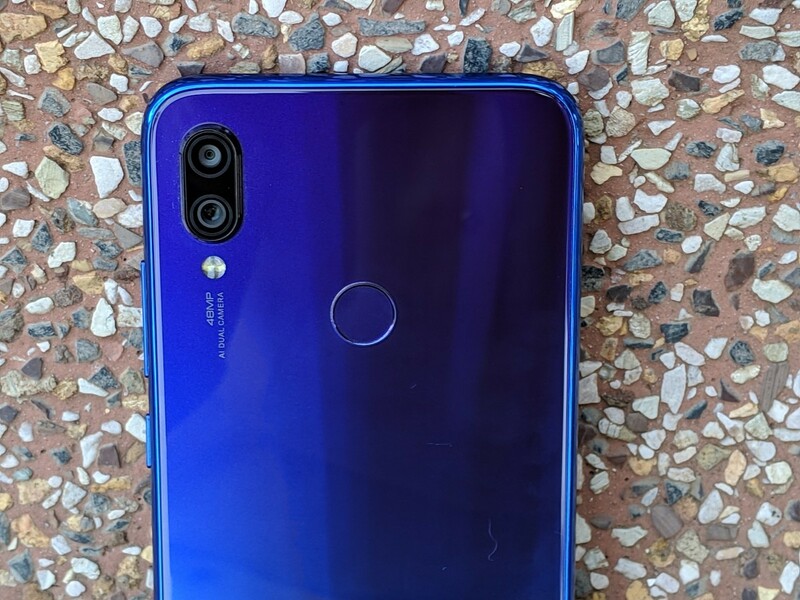 The sensor is found in the Honor View20 and the Xiaomi Mi 9 as well. The Chinese/Global Xiaomi Redmi Note 7 has a 48MP primary camera, but it doesn’t use the IMX586. Instead, it uses Samsung’s ISOCELL GM1 sensor, which is also used in the Vivo V15 Pro. The key difference between the two is that the IMX586 can take photos natively at 48MP resolution, while the Samsung GM1 uses upscaling and interpolation (resulting in the lack of Zero Shutter Lag) to achieve a photo resolution of 48MP. The Redmi Note 7 Pro, therefore, is prepared when it comes to camera hardware. It’s the cheapest phone to use the IMX586, but as we have mentioned before, the choice of a camera sensor is not the only factor in determining image quality. In this age of computational photography, image processing is equally important, and Xiaomi has been steadily stepping forward in this area. The Xiaomi Redmi Note 7 Pro’s MIUI Camera app offers the following camera modes: Photo, Video, Portrait, Night, Short video, Square, Panorama, and Pro. On top of the camera app, users can toggle flash, HDR (auto/on/off), AI, and filters. The menu button contains options for Settings, Timer, Tilt-shift, Straighten, Group Selfie, Google Lens, and 48MP. Google Lens, therefore, can be accessed directly from the camera app. At launch, Xiaomi stated that users would be able to take 48MP photos using Pro mode. However, the company then rolled out an update to enable users to take 48MP photos in Photo (auto) mode. In 48MP mode, HDR and AI are both disabled. By default, the camera takes photos in 12.0MP resolution (4000×3000). The 48MP (8000×6000) mode can be set as the default mode by enabling the option to save the previous mode in the camera settings. The Redmi Note 7 Pro’s Night mode is the same as the night modes of the POCO F1, Xiaomi Mi Mix 3, Xiaomi Mi 8, and Xiaomi Mi Mix 2S. It takes a few exposures and then stacks them together, applying exposure compensation and heavy use of noise reduction. 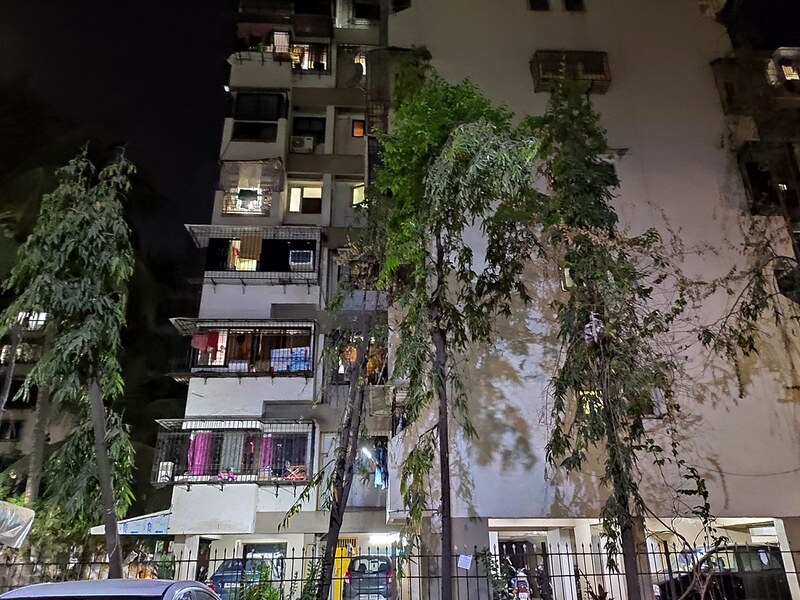 The Pro mode is the usual full-featured mode that users have come to expect, and it’s nice to see it on the Redmi Note 7 Pro as earlier Redmi series phones lacked such camera modes. The Portrait mode has become a mainstay even on budget devices, and it works well enough in daylight. It requires a lot of light to work well, though. If it’s too dark, the camera will be unable to apply a depth effect. In the camera app settings, users can choose to disable camera sounds, add time stamp on photos, disable the photo watermark, show grid lines, scan QR codes, add an option to take a photo by tapping anywhere on the camera preview after focusing, choose whether to mirror the front camera’s photos, and choose camera frame aspect ratio and picture quality. In terms of video settings, users can choose to disable video stabilization (which is active only in the [email protected] mode), video resolution, video encoder (H264 or H265), video HFR (slow motion) resolution ([email protected] or [email protected]), and the time lapse interval. Additional settings include an option to enable fingerprint shutter for photos, define actions for a volume button press, and choose settings for auto exposure, contrast, saturation, and sharpness. For the most part, the Redmi Note 7 Pro’s camera user experience is fast and smooth, but there are some caveats. There is zero shutter lag when taking 12MP pixel binned photos in daylight, and phase detection autofocus (PDAF) works well. 48MP full-resolution shots in Photo mode have significant processing lag in the order of multiple seconds, however. Users can still take 48MP photos quickly as the processing happens in the background, but the Qualcomm Snapdragon 675 simply doesn’t support ZSL with a 48MP camera. This means image stacking in a way similar to Google Camera‘s HDR+ mode is impossible with the Redmi Note 7 Pro’s 48MP photos. Interestingly, the processing lag when taking 48MP photos is significantly lesser than the processing lag of 48MP photos in Photo mode. The story gets more complicated as both 48MP modes are not the same. The 48MP Photo mode takes photos with significantly less noise, especially indoors. This means that the noise reduction of the Pro mode’s 48MP option is a lot weaker. The Redmi Note 7 Pro features AI scene recognition to fall in line with the popular camera trends of 2018 and 2019. This feature only works in 12MP mode, and the differences it makes to image quality are marginal, unlike Huawei’s Master AI. As there are only marginal differences in output, there is no harm in leaving it switched on. Methodology: All photos were taken handheld in either Photo or Night modes. 12MP photos and 48MP samples are separately shown in different galleries. AI mode and HDR Auto were enabled in 12MP photos. All low light samples have 12MP resolution. In daylight, when taking photos at its default 12MP resolution that employs pixel binning, the Redmi Note 7 Pro’s camera is impressive. It can be easily compared with flagships on a level playing field, and that itself is no small achievement. In general, the camera handles exposure and dynamic range well, with HDR auto doing its bit to help. Some samples suffer from underexposure in high-contrast scenes, but this issue is minor in scale. As expected, dynamic range is not on the same level as top-tier flagship phones such as the Huawei Mate 20 Pro and the Google Pixel 3 XL. However, it nearly matches the OnePlus 6T and is on par with the POCO F1. Colors are also accurate, and over-saturation isn’t an issue. In terms of detail, the Redmi Note 7 Pro’s samples are pleasantly good as they avoid falling into obvious pitfalls. Plenty of fine texture detail is retained, to the point where the camera is a best-in-class camera at its price point. The camera performs admirably when it comes to resolving natural detail such as trees, plants, grass, etc., at 100% resolution. The starting ISO level is still ISO 100, which is an area where Xiaomi needs to improve to push the ISO level to ISO 50 or beyond. Despite this, noise reduction is handled well, with luminance noise being sparingly found in 12MP pixel binned photos. The photos also show no obvious signs of artificial sharpening, image processing artifacts, or corner softness, which are three big plus points. Therefore, when taking 12MP photos in consideration, the Redmi Note 7 Pro’s camera is more impressive in terms of exposure and dynamic range than the Xiaomi Mi A2 (the previous image quality champion at this price point), and it manages to tie with the POCO F1 while slightly trailing the OnePlus 6T. In terms of detail, its samples have less detail than flagship cameras like the Google Pixel 3, Huawei Mate 20 Pro, and the Samsung Galaxy S10, while being better than nearly all lower mid-range competitors. To answer the detail deficit to flagship phones, the Redmi Note 7 Pro has a trick up its sleeve: its 48MP resolution option in Photo mode. The 48MP mode comes with a lot of expectations, and thankfully, it mostly lives up to its expectations, at least in daylight. Although it’s not the default resolution option, taking 48MP photos is relatively painless as long as the camera app works well. A single 48MP photo is about 15-24MB in size while a 12MP daylight photo is about 6-8MB. The camera surely captures a lot of information, but does it actually perform well? The answer: Yes, it does. 48MP photos suffer from the issues of underexposure and relatively weak dynamic range when compared with top-tier flagship cameras (the 12MP pixel binned photos also have slightly better exposure). However, top-tier flagship smartphones also cost 4-5x the price of the Redmi Note 7 Pro. Barring phones like the Huawei Mate 20 Pro and the Google Pixel 3, the Redmi Note 7 Pro’s 48MP mode can legitimately be compared with flagships. In terms of detail retention, its performance is phenomenal for the price point. Taking aside the price point, the 48MP photos have more detail than most flagships like the POCO F1, OnePlus 6T, LG V40 ThinQ, and Vivo NEX S. The 48MP daylight photos can actually be compared with the Google Pixel 3’s HDR+ photos in terms of detail. The Redmi Note 7 Pro, therefore, becomes the new benchmark for daylight image quality in a lower mid-range phone. The downsides for the 48MP mode are that it chooses to apply less noise reduction and sharpening, which means some samples can look soft at 100% resolution (this issue does not exist in the 12MP default resolution option). Processing lag and huge file sizes can also become issues depending on the subject and phone’s storage. Even after taking these factors into consideration, the Redmi Note 7 Pro’s 48MP mode is a winner, at least in daylight. The amount of detail it provides enables flexibility in cropping, and detail can be resolved even in far-off objects. Overall, the Redmi Note 7 Pro’s camera exceeds expectations in daylight. Its negatives are few, while its list of positives challenges that of affordable flagships. The camera can be legitimately compared with the OnePlus 6T’s camera. This time around, Xiaomi was not wrong in making that particular comparison. Unfortunately, the situation drastically changes as we head indoors. The Redmi Note 7 Pro’s image quality rapidly degrades as light levels fall, similar to the POCO F1, OnePlus 6T, and the Xiaomi Mi A2. Definition and fine texture detail are degraded, and the sharpness of image samples is reduced significantly. Photos taken of people under artificial lighting are artificially processed with aggressive noise reduction, which has a negative impact on detail. Using the 48MP mode indoors presents only marginal improvements in image quality. The lack of OIS also means that the camera is highly susceptible to camera shake and motion blur. 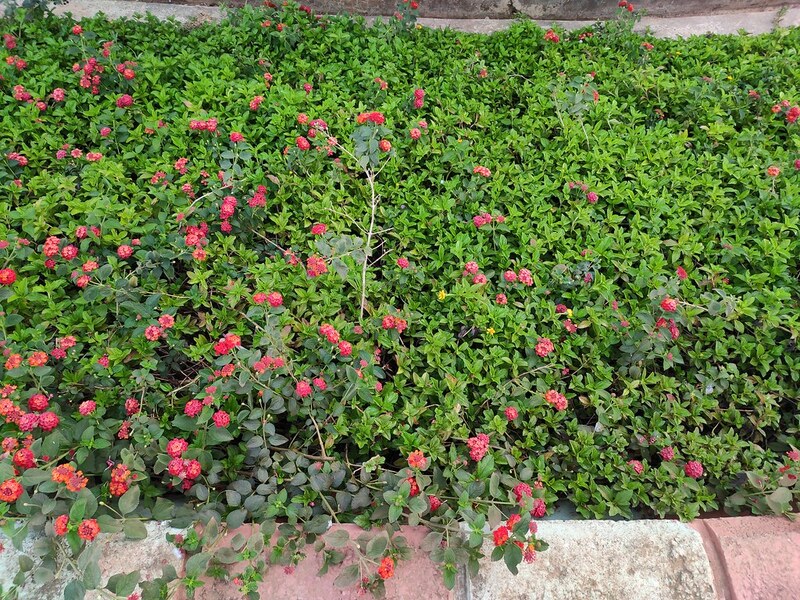 The Redmi Note 7 Pro’s camera is, therefore, on par with most of its competitors indoors. The indoor image quality from any phone with a properly working Google Camera port will turn out much, much better (for example, the POCO F1’s Google Camera port transforms its indoor image quality). When comparing stock vs. stock, the Redmi Note 7 Pro still manages to tie with the POCO F1 and the OnePlus 6T, especially as it doesn’t share the OnePlus 6T’s issue of having too many processing artifacts in indoor photos. A few years ago, Xiaomi’s budget Redmi Note series was not known for offering great low light camera quality. This began to change last year with the Xiaomi Redmi Note 5 Pro/Xiaomi Redmi Note 5 AI Dual Camera, and Xiaomi continued to make improvements with the Xiaomi Redmi Note 6 Pro. With the Redmi Note 7 Pro, the company makes another set of significant advancements with a pixel binned 12MP default mode, bright f/1.8 aperture, and a Night Mode that aims to take brighter, less noisy photos in low light. The Redmi Note 7 Pro has to deal with a basic fact: Most budget and lower mid-range smartphone cameras don’t tend to do well in low light. Even keeping this in mind, the Redmi Note 7 Pro becomes an outlier as it has surprisingly good image quality in low light. The Redmi Note 7 Pro’s low light 12MP photo samples taken in Photo mode show accurate colors, decent exposure, and more fine detail than the competition. The 4-in-1 pixel binning proves its worth here as the Redmi Note 7 Pro’s low light samples are slightly superior to the OnePlus 6T’s samples, while also being better than the POCO F1 and the Xiaomi Mi A2. Luminance noise does become a significant issue, but thankfully, chromatic noise is not found in all but the most extreme low light samples. Camera shake and motion blur remain constraints, and OIS could have done a lot to help here. In terms of detail, the Redmi Note 7 Pro’s low light samples are not able to match flagships like the Huawei Mate 20 Pro, Google Pixel 3, Samsung Galaxy S10, and the LG V40 ThinQ. However, it’s able to compete with most other upper mid-range phones as well as affordable flagships. In its particular price segment, no other phone can even come close, as the Redmi Note 7 Pro currently enjoys a significant advantage in terms of image quality. Xiaomi lets go of all the aforementioned advantages in Night Mode, however. Unfortunately, Night Mode (which is limited to 12MP resolution) shares a lot of similarities with OnePlus’ Nightscape mode, which itself doesn’t do a great job. Although Night Mode samples are brighter than Photo (auto) mode samples, they have enormous downsides elsewhere. Noise reduction is done extremely aggressively in Night Mode to the point where photos have no detail to speak of. Xiaomi also applies artificial sharpening and adjusts photo contrast to the point where photos lose their authentic integrity. At 100% resolution, the photos contain a high number of artifacts. Therefore, Photo mode is superior to Night mode in almost all cases except for extreme low light where it would be hard to even see the object. Even then, I can’t help but feel disappointed by Xiaomi’s Night Mode. The heavy use of the noise reduction/blur effect should be reduced as the first step in future phones. 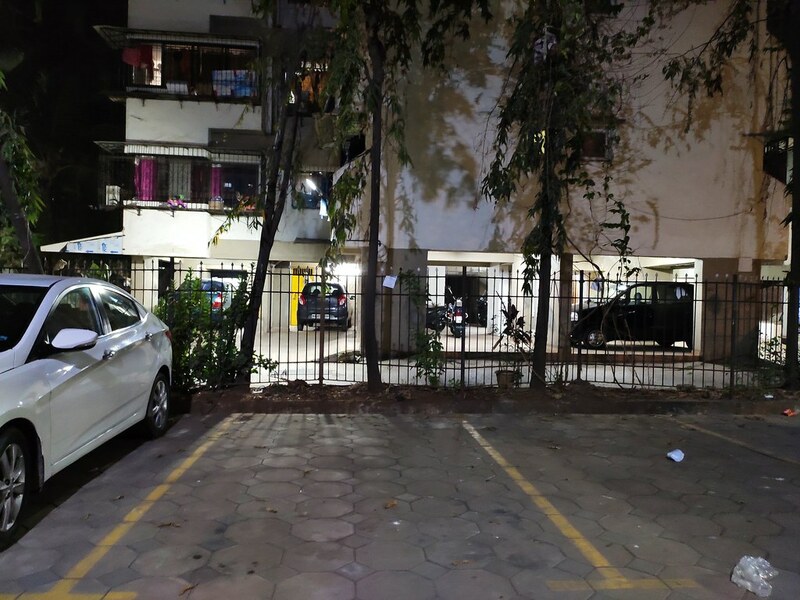 When detail is retained instead of being destroyed, Xiaomi can then think of catching up with Google’s Night Sight and Huawei’s Night Mode, which remain the industry leaders in computational photography-powered night modes. Overall, the Redmi Note 7 Pro’s low light image quality is still a strength, but there is significant room for improvement with Night Mode. Photo mode samples have a lot more detail, and in most cases, the Redmi Note 7 Pro’s camera manages to tie with or even beat the OnePlus 6T’s camera in low light. The Xiaomi Redmi Note 7 Pro can record videos in [email protected], [email protected], and [email protected] Unfortunately, EIS is enabled only in the [email protected] video mode. Xiaomi provides an option to record videos in the H265 encoder to save space, but the default video encoder remains H264 for better compatibility. Let’s start off with [email protected] videos in daylight. The Redmi Note 7 Pro can actually record 4K videos with the MIUI Camera app unlike the Redmi Note 5 Pro and the Redmi Note 6 Pro. The videos have enough resolved detail along with having accurate colors and exposure. Audio is recorded in stereo, and audio recording is pretty good. While dynamic range isn’t a strong point, the autofocus is reliable. The real flaw with 4K videos is that they have no stabilization. The camera’s lack of OIS combined with disabled EIS in 4K means that videos are highly affected by camera shake. Any video containing movement can be so shaky that it’s better to use [email protected] instead. In low light, the videos are affected by the same flaws that affect low light photos. Such videos are still usable for detail, but ultimately, external stabilization is required to make any use of this mode. Unfortunately, [email protected] videos also have disabled EIS, unlike the Xiaomi Mi A2. [email protected] videos do have a constant frame rate of 60fps, but they are hampered by underexposure. This mode would have been useful for capturing fast moving objects, but the lack of EIS along with the 60fps frame rate exacerbates the camera shake issue. Xiaomi is advised to look towards providing EIS support in the [email protected] mode in a software update. The [email protected] video recording mode is the preferred mode with the Redmi Note 7 Pro. EIS works well during walking, but there is a distracting stutter effect while panning during recording. Exposure is on point. Detail levels are slightly lower than 4K videos, but the enabled EIS makes up for that. PDAF continues to work well here. In low light, noise levels are kept under control, and the detail is quite good. However, there is a drastic decrease in the amount of light being captured. Thanks to EIS, recording videos in low light with the Redmi Note 7 Pro is actually a plausible option. Overall, video recording isn’t a great strength of the Redmi Note 7 Pro’s camera, because of the fact that EIS is disabled in two of the three video resolution options. The video quality itself is still quite good, and users should have minimal complaints. EIS support in [email protected] videos would significantly improve the rating here. The Xiaomi Redmi Note 7 Pro’s mono loudspeaker is good when it comes to loudness and clarity. I didn’t have any issues here. Speaker loudness is easily on par with the Xiaomi Mi A2, and in general, most phones don’t stumble in this area. The Redmi Note 7 Pro has a 3.5mm headphone jack. Even three years ago it would have been surprising to mention this, but I am glad that Xiaomi has opted to keep the headphone jack in its Redmi Note series. Nearly all lower mid-range phones still have the headphone jack, so its absence would have been a major flaw for the Redmi Note 7 Pro (as it was for the Xiaomi Mi A2). As it is, there is nothing to complain about here. The Snapdragon 675 features Qualcomm’s Aqstic audio codec, which means that audio quality when using 3.5mm earphones is remarkably good. There are no 3.5mm to USB Type-C adapters to worry about here (!). The Redmi Note 7 Pro’s USB Type-C port also supports audio output, which means that earphones such as the OnePlus Type-C Bullets are supported out of the box. Lastly, Bluetooth audio shouldn’t an issue here as the Snapdragon 675 features support for aptX Classic, aptX HD, and aptX Adaptive. Overall, the Redmi Note 7 Pro’s audio quality leaves me with no complaints. It works, and it works well. The Xiaomi Redmi Note 7 Pro is powered by MIUI 10 on top of Android Pie. My unit is currently running MIUI Global Stable 10.2.7.0 with the February 1, 2019 security patch. We have covered most of MIUI 10’s new features separately, so readers should check that out. On the Redmi Note 7 Pro, MIUI 10 is more of a Xiaomi experience than ever. While Huawei’s EMUI is inching closer and closer to stock Android with each new version, it seems that MIUI steps farther and farther away from stock Android with each new iteration. Its feature set is broad. It heavily promotes Xiaomi services and acts as a monetization platform for the company. Finally, it has its own design identity. Let’s take a quick look through different aspects of MIUI. Firstly, the design language of MIUI doesn’t adhere to Material Design principles. Its UI is a hybrid of iOS and Android, with abundant use of the blur effect. The notification panel, in particular, looks highly inspired by iOS. Functionally, there is nothing wrong with it, except for the fact that the brightness slider can’t be adjusted with a simple tap, unlike stock Android. Xiaomi should fix this for a quality of life improvement. As expected, MIUI’s system launcher doesn’t come with an app drawer by default. This can be easily fixed by downloading a third-party launcher, and Xiaomi’s own POCO Launcher comes with an app drawer. POCO Launcher has more customization options, and it’s only a download away on the Play Store. The recent apps menu is another big divergence from Android. It contains two vertically scrolling columns of stacked cards unlike stock Android Pie, which features horizontally scrolling cards. This can be thought of as an upgrade or downgrade, depending on user opinion. By default, the recent apps view contains recommendations for Cleaner, Security scan, Find apps (Xiaomi’s Mi Apps store), and Manage apps. These recommendations can be switched off in the settings app. Lock screen notifications on MIUI still aren’t handled properly, much to our disappointment. Notifications can’t be expanded on the lock screen (they can be swiped away), and they won’t show there after the phone has been unlocked once, even if the notification itself hasn’t been viewed. While I didn’t have any issues with MIUI’s notification management for apps in general, it’s worth noting that MIUI’s autostart feature disables third-party apps from automatically starting on boot. Users have to manually white-list such apps. Similarly, MIUI’s Battery Saver feature could be disabled in past MIUI versions, but I was unable to find such an option in the current MIUI 10 stable build. Both the MIUI system launcher and POCO Launcher contain App Vault with shortcuts for Ola Cabs booking, notes, calendar events, and more. It’s Xiaomi’s take on OnePlus’ Shelf. It’s not the fastest panel to open, and Xiaomi uses the panel to showcase recommendations too, but thankfully, this feature can be disabled as well. Let’s move on to the gestures. They are one of the best features of MIUI as the company has chosen to forgo stock Android Pie’s navigation system in favor of its own full-screen gesture navigation system. MIUI’s gesture navigation has smooth finger tracking and nice animations, but the user experience of gestures on the Redmi Note 7 Pro is not as good as it is on the POCO F1, because the gestures themselves aren’t as fast and responsive. The gestures are: Swipe from the bottom of the display to go home, swipe from either edge of the display to go back, and swipe up and hold to access recent apps. Users can quickly switch to the previous app by swiping from the edge of the screen and then holding. For Google Assistant, Xiaomi has a gesture to long press the power button for 0.5 seconds. To trigger an app’s edge swipe action, users can swipe from the edge of the screen in the top area. Ultimately, the only gesture missing is an easy way to enter Xiaomi’s one-handed mode—users will have to enable quick ball (pie gestures) or three-button navigation for that. MIUI doesn’t handle full-screen apps as nicely as stock Android. If an app wasn’t built for tall display aspect ratios, it will be shown with a thick black bar at the bottom, and users will have to manually allow full-screen mode for it. MIUI’s expanded feature set relative to stock Android can come in useful. Features like dual apps, connection speed indicator in the status bar, scheduled power on/off, one-handed mode, caller ID, quick ball, and more are simply not found in stock Android, and some of this functionality can’t even be downloaded from the Google Play Store. MIUI also features customizable button and gesture shortcuts to launch the camera, take a screenshot with three fingers, turn off the display, and more. On the other hand, MIUI’s list of bloatware (especially in the Indian region) is egregious. Users will get Amazon Shopping, Facebook, Dailyhunt, Opera News, and Opera Mini installed out of the box. Thankfully, these apps can be completely uninstalled, but they shouldn’t have been installed by default in the first place. Finally, we come to the most controversial part of MIUI: the ads. As can be seen in the screenshots above, they have become a serious problem. Over the last year, Xiaomi has started showing ads in MIUI more frequently for some regions, especially in India. Ads and promotional notifications will inundate the phone unless the user nips them in the bud. Ads are shown in the MIUI Security app when installing any app, which is scanned before they can be opened, even though Google Play Protect negates the usefulness of this “feature.” The “Glance” feature on the lock screen is thankfully disabled by default, but enabling it will result in “news updates” being shown on the lock screen. Many of Xiaomi’s system apps such as the File Manager, Mi Apps, Themes, and others contain ads. The Mi Store app sends notifications for upcoming flash sales. All of this is completely unnecessary, and in the worst case, it amounts to a violation of user privacy. Thankfully, disabling ads in MIUI is easy to do. As part of the first boot, users should disable personalized ad recommendations. They can choose to revoke authorization for the MSA system component and for Xiaomi’s system apps. For apps like the Security app and File manager, users should enter the settings menu and then disable the “Show recommendations” option. I would also recommend switching off notifications for most Xiaomi system apps for a less intrusive user experience. To entirely disable ads in MIUI, follow these instructions. Disabling ads on MIUI is relatively painless, but that doesn’t mean that they should exist in the first place. I strongly disagree with the proposition that it is acceptable for Xiaomi to earn money by showing ads on a user’s phone. This sort of approach is unfortunately now being followed by Samsung with the Galaxy A series, and it has the potential to become a dangerous trend. I hope that Xiaomi listens to user feedback regarding this issue. Overall, MIUI is a very polarizing user interface that has quite a few benefits and flaws. The overall UX is still okay for the most part, but Xiaomi can make many improvements. Currently, it’s hard to deny that stock-based user interfaces such as OnePlus’ OxygenOS and Android One make for a cleaner, less intrusive user experience as compared to MIUI, and Huawei’s EMUI is also arguably ahead of MIUI. With respect to the Redmi Note 7 Pro, I can’t quite give MIUI a free pass, but the overall package just about passes the acceptability test. The Xiaomi Redmi Note 7 Pro is powered by a 4,000mAh battery. The battery capacity in the Redmi Note series has stayed constant since the Redmi Note 5 Pro, although it’s worth noting that phones like the Redmi Note 4 featured bigger 4,100mAh batteries in the past. When taking into consideration the efficient 11nm Snapdragon 675 chipset and MIUI’s aggressive memory management, the Redmi Note 7 Pro should have great battery life. The Redmi Note 7 Pro does indeed get great battery life, helping prolong the fine legacy of great battery life in the Redmi Note series. In my usage, I could get roughly 6.5-7 hours of screen-on time on Wi-Fi, with unplugged time varying from 48-60 hours. Standby drain is low, and it’s really hard to drain the battery quickly. For comparison, the POCO F1’s battery life is noticeably less, while the OnePlus 6T tries hard to keep up with the Redmi Note 7 Pro but ultimately falls behind. Users with light usage, therefore, should be able to get 2-3 days of battery life, while moderate use can easily get 2 days. Heavy usage will result in the battery being drained in 24-36 hours. The Redmi Note 7 Pro supports Qualcomm Quick Charge 4, but sadly, Xiaomi continues to cut corners by bundling a 10W charger in the box. Officially, Qualcomm Quick Charge 4 chargers are not even available in India, and Xiaomi doesn’t sell them on its Indian website. The company does sell a Quick Charge 3.0 compatible charger on Mi.com for ₹449. Using a third-party Quick Charge 3.0 charger, it takes 1.5 hours for the battery to be charged from 20% to 100%. The Xiaomi Redmi Note 7 Pro supports dual 4G VoLTE on both SIMs, and I had no issues with call quality and cellular reception. In India, the phone supports VoLTE on all the major networks. The phone has limited LTE bands, which means importers in Western markets probably won’t get LTE coverage. The phone supports Cat.12 LTE downlink (600Mbps) and Cat.13 LTE uplink. Wi-Fi 802.11ac support is also present. The Redmi Note 7 Pro doesn’t have NFC, but because the phone will be sold only in China and India, the lack of NFC does not make a major difference. Importers in markets where NFC is widespread should be aware of this, though. Finally, the Redmi Note 7 Pro’s vibration motor is par for the course in this price segment. The Xiaomi Mi A2 does feature a noticeably stronger vibration motor, but the Redmi Note 7 Pro’s motor is nearly on par with the POCO F1. While the Xiaomi Redmi Note 7 Pro isn’t free from its share of flaws, it is still ultimately the best phone in its price segment. Let’s briefly summarize the main aspects of the phone. The Redmi Note 7 Pro’s design is one of the plus points of the phone, but its build quality isn’t class-leading. Its plastic frame raises concerns about long-term durability, and the Xiaomi Mi A2’s unibody aluminum construction is undoubtedly more durable. When compared to its current range of competitors, though, the Redmi Note 7 Pro impresses with a fingerprint-resistant back coating, neatly executed gradient color options, and the use of Gorilla Glass 5 rather than a glossy plastic back. Ultimately, I would have preferred a metal frame, but in other aspects such as ergonomics, the Redmi Note 7 Pro leaves minimal complaints. The display of the Redmi Note 7 Pro is great for a lower mid-range phone. Resolution, brightness, viewing angles, and color accuracy are all on point, and providing sRGB as well as DCI-P3 display profiles satisfies user choice. The display’s black levels are hardly impressive in the age of AMOLED, but AMOLED displays are only now starting to arrive in this price point. The sunlight legibility is also pretty good thanks to Xiaomi’s Sunlight Display technology. The Redmi Note 7 Pro’s CPU and system performance are class-leading thanks to the brand new Qualcomm Snapdragon 675 SoC and its A76-based cores. Its CPU and system performance competes with phones costing far more than the Redmi Note 7 Pro. Unfortunately, real-world UI performance is let down by random stutters in animations, while RAM management is badly affected due to a bloated MIUI Camera app. The poor RAM management means that the Redmi Note 7 Pro loses much of its system performance advantage, and slips behind competitors such as the Xiaomi Mi A2. This can and should be fixed with a software update as soon as possible. The GPU performance of the Redmi Note 7 Pro is average because of the fact that the Snapdragon 675’s GPU has the same performance as the Snapdragon 660’s GPU. Overall, the phone’s performance is mostly good but there are a few rough edges that need to be polished. The Redmi Note 7 Pro’s USP is its camera quality. 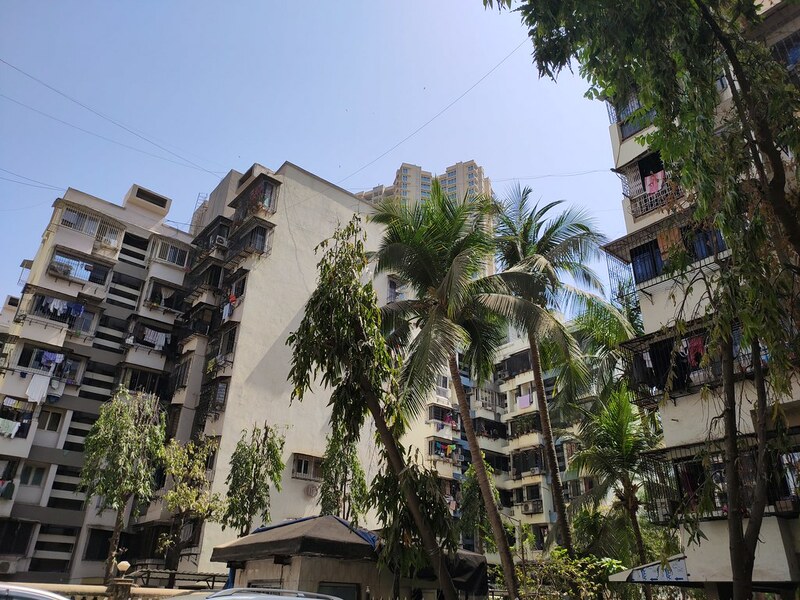 Thankfully, the 48MP primary rear camera mostly delivers on its promises, as it regularly exchanges blows with the OnePlus 6T and the POCO F1—the former of which costs nearly three times the price of the Redmi Note 7 Pro. The camera’s image quality in daylight can be legitimately compared with affordable flagship and even true flagship contenders, and the 48MP mode proves its worth (although it does have some caveats). Indoors, the camera slips up in terms of detail and sharpness just like most of its competitors, but in outdoor low light conditions, the pixel binned 12MP photos are arguably superior to the photos of the OnePlus 6T and the POCO F1. Video recording is also a good improvement over past Redmi phones, but the lack of EIS in [email protected] and [email protected] video modes is disappointing to see. By having a satisfyingly loud speaker and retaining the 3.5mm headphone jack, the Redmi Note 7 Pro makes its task easy for itself in the audio department. The phone supports USB Type-C audio, and audio quality from the 3.5mm headphone jack is also great. The Redmi Note 7 Pro’s MIUI 10 Global ROM is an acquired taste. Plenty of users like MIUI for the extended feature set that it provides over stock Android, and it’s good to see that MIUI still retains that strength. On the other hand, long-standing weaknesses such as poor handling of lock screen notifications still haven’t been solved, and MIUI is also getting more and more intrusive by the day, especially in India. Frequent ads in unexpected locations spoil the user experience, and users are forced to disable them. The situation with unwanted ads spoils MIUI’s list of positives in our view. Ultimately, Xiaomi will have to demonstrate that it cares for users’ privacy concerns in this area. The battery life of the Redmi Note 7 Pro may not be class-leading anymore, as competitors are arriving with bigger 5,000mAh batteries. However, it’s still a strength of the phone, and it’s noticeably better than most flagship phones. Up to 7 hours screen-on time is easy to get, and low standby drain means that users won’t need to worry about battery life. It would have been good to see Xiaomi bundling a fast charger in the box, but as it is, a Qualcomm Quick Charge 3.0 fast charger has to be purchased separately. The Redmi Note 7 Pro arriving only a few months after the Redmi Note 6 Pro raises concerns about long-term development and software updates. The phone will surely get the Android Q update, but beyond that, Xiaomi’s update record has been uncertain in the past. Regarding bootloader unlock, concerns have been raised about Xiaomi’s increasingly long wait times for bootloader unlock, but the company has to be applauded for providing an official service. Xiaomi has released kernel sources for the device, and despite limited global availability, we expect the Redmi Note 7 Pro to receive TWRP support as well as its share of device-specific custom ROMs, and more as time goes on. When it comes to pricing and competition, the Redmi Note 7 Pro is in a unique place right now. That’s because it has very few competitors, a feat that has been achieved thanks to aggressive pricing. In India, the Asus ZenFone Max Pro M2 has a bigger 5,000mAh battery, a dedicated microSD card slot, and stock Android. It’s also ₹2,000 cheaper than the Redmi Note 7 Pro, but the Redmi Note 7 Pro has a faster SoC and a much better camera. The Realme 2 Pro is also cheaper than the Redmi Note 7 Pro, but the Redmi Note 7 Pro’s SoC and camera performance remain unmatched. The Honor 8X and Honor 10 Lite have an arguably better user interface (EMUI vs. MIUI), but the Redmi Note 7 Pro still has a better SoC, better rear cameras, and better battery life. 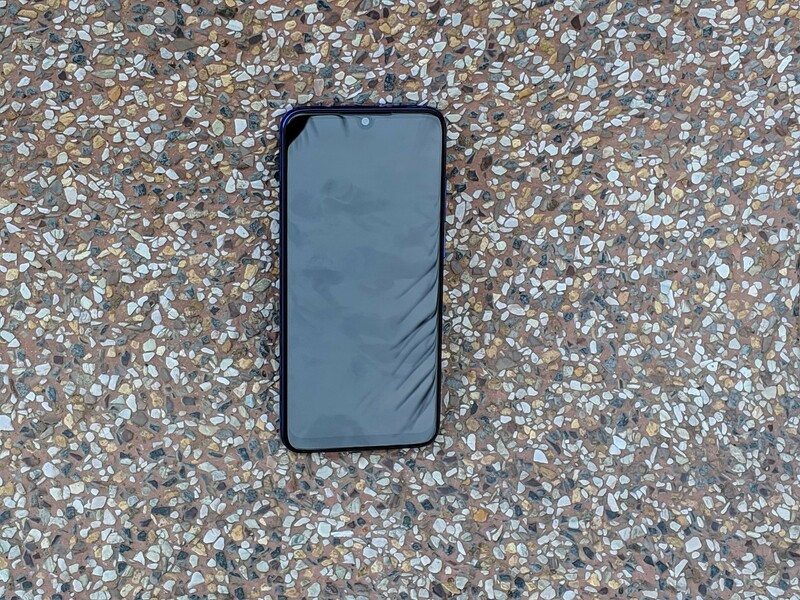 Similarly, the Samsung Galaxy M30 has a bigger 6.4-inch AMOLED display, a dedicated microSD card slot, an ultra-wide angle 8MP rear camera, and a bigger 5,000mAh battery. The Redmi Note 7 Pro, however, offers much better performance, better camera quality, and a cheaper price tag (₹13,999 vs. ₹14,999). Xiaomi’s own Mi A2 can also be regarded as a competitor, as it has arguably better build quality, a simpler UI with Android One, faster software updates, and a cheaper price tag. The Redmi Note 7 Pro has a longer list of advantages including a better display, better CPU, better camera quality, much better battery life, a hybrid microSD card slot, and a 3.5mm headphone jack. Ultimately, the Redmi Note 7 Pro’s list of strengths means that its list of competitors is currently few and far between. 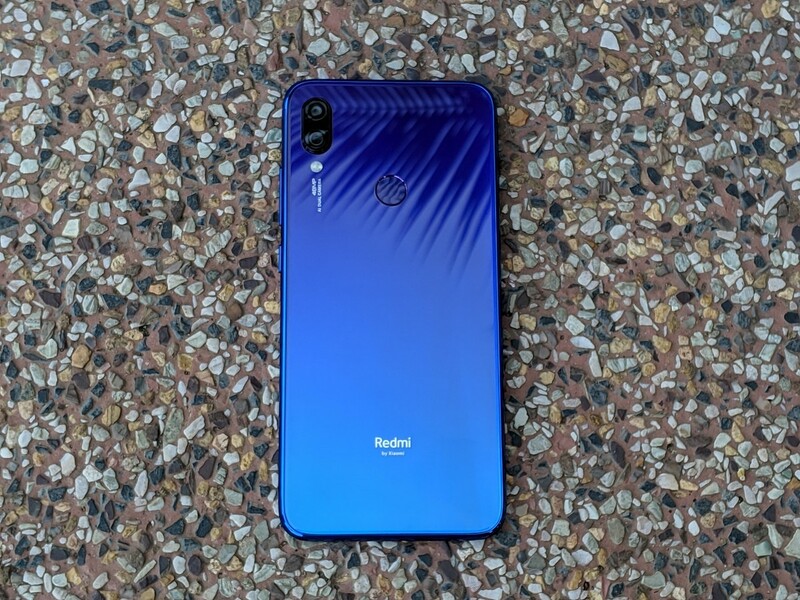 The upcoming Realme 3 Pro may be a plausible contender, but we have to wait for its launch in April as its specifications haven’t been revealed yet. It’s a shame to learn that the Redmi Note 7 Pro won’t be sold globally apart from the key markets of China and India. Xiaomi does sell the Chinese Redmi Note 7 globally though, and apart from the performance and camera sections, this review can be useful for that phone as well, as it shares other specifications with the Redmi Note 7 Pro. The Redmi Note 7 Pro’s price tag of ₹13,999 ($203) for the 4GB RAM/64GB storage version is right on target. The ₹16,999 ($246) price tag for the 6GB RAM/128GB storage version may tempt some buyers to spend ₹3,000 more and get the 6GB RAM/64GB storage variant of the more powerful POCO F1. Both phones provide incredible value for money.